Here at travelwheels we love planning campervan roadtrips for our customers! For example over the years our staff and customers have compiled a list of all the great places to visit. Cool stuff such as best or free things to do on the East Coast of Australia for you guys! Therefore we decided to write this Cairns Sydney Route Planner with all the information you especially need to plan your campervan holiday! Below is a link to our FREE Cairns Sydney Route Planner you can download. As a result of downloading our PDF guide, you will save time and especially energy planning your Cairns campervan hire road trip. You will find this PDF really useful with great tips to help you organise your holiday here in Australia. Furthermore we recommend reading our Cairns Sydney Route Planner sister guide to free camping on east coast of Australia. This was especially written by our staff and customer feedback on Travelwheels facebook page. How long is the drive from Cairns to Sydney in a campervan? For the most part, this probably the most popular question travellers email Travelwheels Campervan Hire Cairns branch. The question normally goes something like this, “How long is the drive from Cairns to Sydney in a campervan?“. Cairns is approximately 2600kms away from Sydney. Many people for example especially make the classic travellers mistake of trying to do the Cairns to Sydney Campervan Hire route as fast as possible! For example, many people reflecting on their trip afterwards said they would do it differently. Many travellers were bitterly disappointed as a consequence of rushing a Cairns to Sydney road trip! There are so many great places to visit along the East Coast of Australia, so why rush! Furthermore do you really want to have a ‘driving holiday’? Together with Travelwheels campervan hire cairns team we want you to have an amazing time having fun in the sun! Above all, this is why we suggest checking out our Travelwheels Cairns Sydney Route Planner to work out your trip in advance. Furthermore if you are interested in our low prices on Cairns to Sydney Cheap Campervan Hire Specials, you are in luck! As a result of our great deals, simply enter your details below! Alternately why not call our team on 0412766616 in Australia? Lastly you can email us at [email protected] and we will help your plan your holiday. Next is a great tip especially for people thinking about hiring a campervan in Australia. Do you know when is the best time for lowest prices for campervan hire between Cairns and Sydney? No need to worry if you do not know and here is our guide to the cheapest time to hire a campervan in Australia? Travelwheels campervan hire especially recommends taking about three to four weeks (21-28 days) to explore Cairns to Sydney roadtrip. For example this will give you enough time to see all the main or popular things to do on your first trip along the east coast. Remember this is Australia’s most popular campervan trip from Cairns to Sydney. 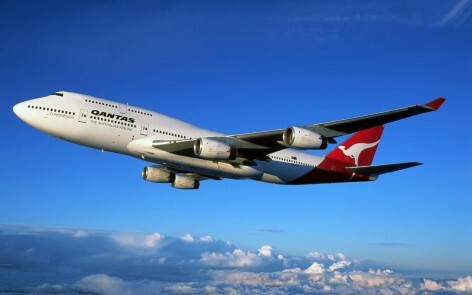 Below is the link to email us about our Cairns Sydney Route Planner. As a rule the first stop on the Cairns Sydney Route Planner is actually Cairns! This is the gateway to the Great Barrier Reef and loads of great day trips in and around Cairns. Here is a link to our free things to do in Cairns page written by customer reviews after visiting the area. There are so many things to do such as visit Cape Tribulation, Port Douglas, Kuranda National Park, Palm Cove, Daintree to name a few things! Don’t rush to get out of Cairns as there are some many incredible things to see in this area. By the way, our guide to when is the best time to travel to cairns to get good weather is especially worth reading as well. Kuranda-Lookout – The Atherton Tablelands should be on your bucket list! The Travelwheels Cairns Sydney Route Planner will help you make the most of your trip! 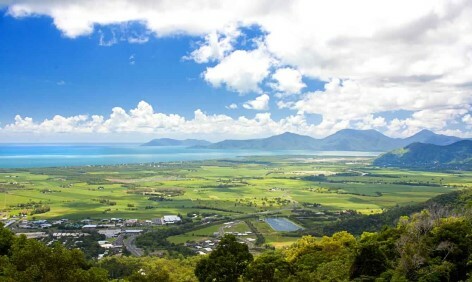 Cairns and the surrounding area is a tantalizing place to explore on your travelwheels Cairns to Sydney campervan hire road trip. For example imagine parking up your campervan in some truly beautiful places for free! Therefore imagine going to sleep with a stunning scenery all around you, and all for free! Travelwheels campervan Hire in Cairns especially recommends spending about 5-7 days exploring this area. Most people will first hit the Great Barrier Reef for a couple of days and then ready to hit the road. However we recommend spending another 3 to 4 days to give youselves a great introduction to the areas surrounding Cairns. Ellis Beach – 30 minutes north of Cairns. Together with your campervan it is a great beach to chill out and especially relax! Next are a few more suggestions we especially recommend whilst on your campervan roadtrip holiday in Northern Queensland. 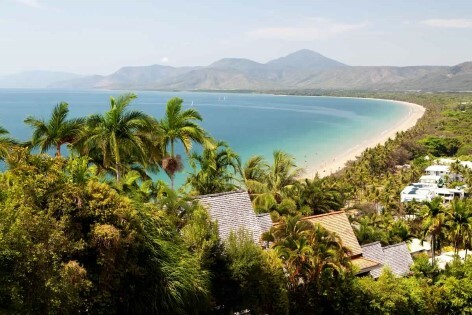 Visit the Northern Secluded Beaches such as Palm Cove! Couple this with kayaking around Double Island is great! Discover the Outer Reef! Consequently less tourists and in this case more of an adventure! Cairns is especially known as the adventure capital of Australia! Fly to the Great Barrier Reef! For example a 45min flight over the reef with friends or a small group is especially fun thing to do! Here is our guide to exploring Northern Queensland by campervan if you want to spend more time here. 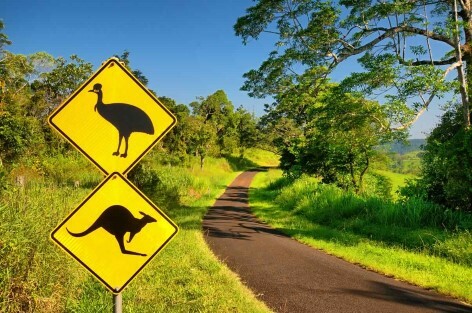 Atherton Tablelands – Watch out for kangaroos and cassowaries! Next stop Travelwheels recommends on the Cairns Sydney Route Planner is…… Mission beach is famous for skydiving and other Adrenalin sports! 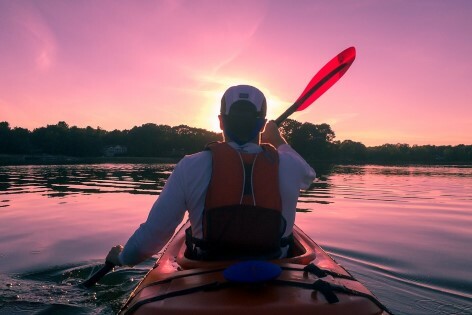 For example other cool things to do is have a go at some sea kayaking! Together with a trip to Dunk Island with great walks and fantastic camping is an enticing extra adventure! For example here is a list of some of the popular activities Travelwheels Campervan Hire customers get up to in the area. Fantastic night life especially on the weekend! This is definitely one of the highlights of the Cairns Sydney Route Planner trip. The staff at Travelwheels Campervan Hire Staff highly recommend staying here for 4 or 5 days! For example why not in sail away on an adventure on a tall ship! You will especially love sailing around the Whitsundays which is such a magical experience! For example Scuba Diving in the Whitsunday’s is simply amazing! 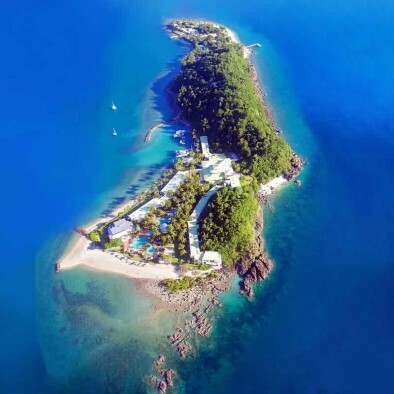 3 day/2 night Whitsunday Sailing coupled with Island hoping is a lot of fun! Great night life and usually the weekends really kick off! As a result of the reef being so big, you can go on a superb Great Barrier Reef tour from here. By the way we highly recommend Fantasea who do brilliant day trips to the Great Barrier Reef. As a result of the whale breeding grounds close by, Hervey Bay is famous for Whale watching! It is a brilliant place for example to go on whale and dolphin boat tours! Furthermore why not visit the world famous Bundaberg Rum Factory with FREE samples! You can leave your Cairns Sydney Route Planner in your Travelwheels Campervan Hire Australia van! Most people will go on an organised tour and take the ferry to the world’s largest Sand Island! By the way you can not take a campervan on the ferry to Fraser Island. Most campervan companies will not allow you to take the camper on to the island. However they will usually allow 4×4 hired vehicles (check your terms and conditions just in case!). 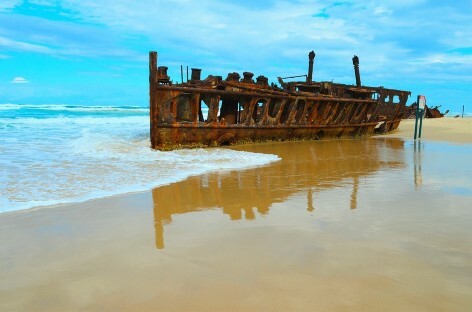 The Fraser Island shipwreck will not be the only thing to amaze you!The Fraser Island shipwreck will not be the only thing that leaves you speechless! 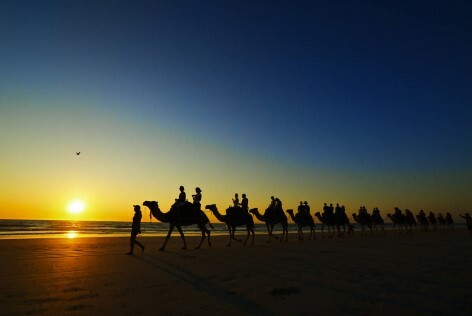 Visit Fraser Island which is the World’s Largest Sand Island! Have a BLAST hiring a 4×4 and driving around the island! Spot Shark and Sting Rays! Next on our list is one of Travelwheels Campervan Hire Staff’s favourite places to visit on the East Coast of Australia. There are lots of great little side trips for example you can do on our Cairns Sydney Route Planner in and around Noosa area. For example we love the 3 day canoe trips in to the national parks close by which are an unforgettable experience. Next on your campervan road trip is Brisbane. To be honest if you are short on time, then we would recommend skipping it! For example there are so many other marvelous and especially once in a lifetime things to do along the east coast of Australia. Above all Brisbane is another city here in Australia. 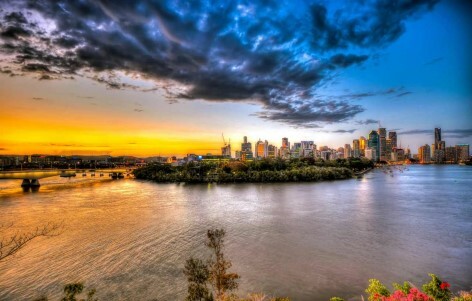 However for us at Travelwheels, the real beauty of Australia is getting out there! Hence for us, the real fun is exploring east coast on your campervan hire road trip! 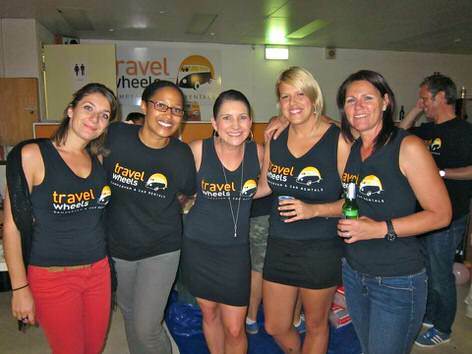 Brisbane is Queensland Capital – travelwheels has a campervan hire branch in Brisbane. On amazing thing about Brisbane is cheap campervan hire back to Sydney! Therefore if you fancy getting a cut price deal on campervan hire, then start from Brisbane! All the campervan companies in Australia struggle to especially move vehicles out of Brisbane back to Sydney! If you want a cheap deal, then call us on 0412766616 or enter your dates below! Remember we have a price match guarantee on Brisbane to Sydney Campervan Hire! If you can find a cheaper deal, we will beat it out of peak season on the spot! In addition to being close to Brisbane, Surfers Paradise is especially known in Australia for fun times! It the place Australians go to have fun, drink, party and course surfing to name a few things! It is for example, the home to Australia’s best theme parks! Surfers Paradise – Best spot for a great surf! 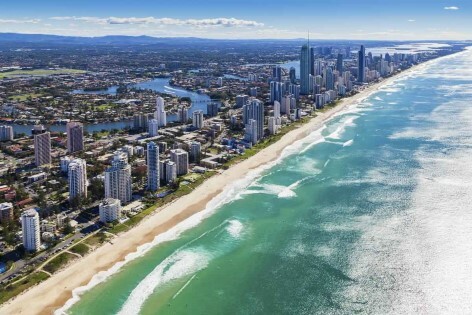 Surfers Paradise – most popular holiday destination in Australia for Australians! Ace place to Surf or learn to Surf! Four different exciting theme parks to explore! Great nightlight, it’s a PARTY TOWN! Next on our Cairns Sydney Route Planner is Byron Bay! It is known for so many things and especially for surfing, laid back lifestyle and together with being the most easterly point of mainland Australia! It is right on the beach and also especially famous for it’s surf breaks! Together with being a beach side town, there are lots of cool stuff to do inland as well! By the way Byron Bay is approximately 772 kilometers (480 miles) north of Sydney and 165 kilometers (103 miles) south of Brisbane. Here is a quick list of the things our staff especially love to do when visiting Byron Bay on a campervan hire holiday. Byron Bay – best surfing spot on the Coast! 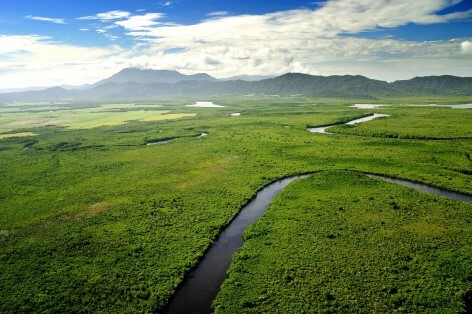 Fantastic World Heritage Forrest to explore! Together with great walks these are must be seen to be believed! FREE Night hike to Mt Warning! We especially recommend the climb to the top of Mt Warning! Furthermore it is known as the first place on Australian mainland to see the sun rise! Great Night life, and especially a brilliant place to chill out! 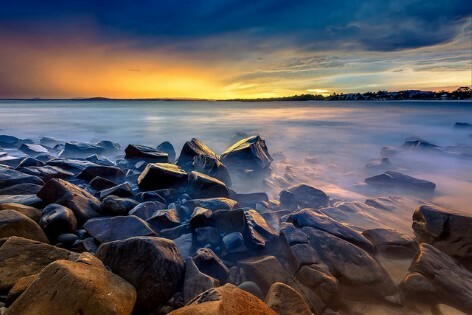 Next on our list of things to do on our Cairns Sydney Route Planner is Coffs Harbour! It used to the centre of the banana industry in Australia. However now it is home to the “BIG BANANA!” It is not the first big thing, but it is the one which started off the craze of building big things by the road side in Australia! Therefore to see where all the other big things are, check out our big things in Australia guide. Furthermore The Big Banana will celebrate it’s 50th Birthday in 2015! 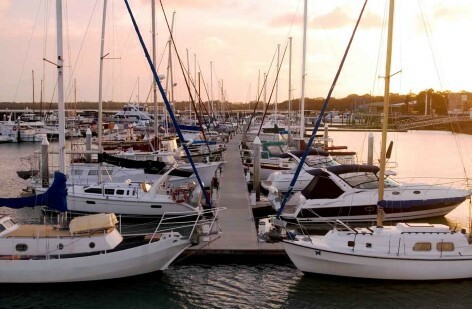 Travellers Tip – avoid Coffs Harbour during Australian school holidays (mid dec to end of Jan). 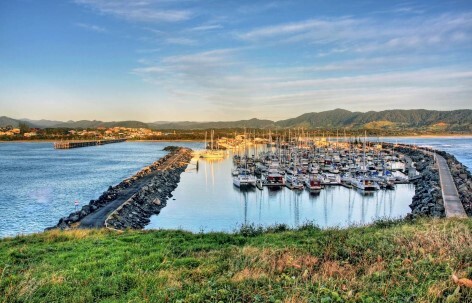 Coffs Harbour is especially popular for Australians going on holiday in the area. One of the reasons why is the marvelous watersports and lovely weather. It is starting to getting busier as every year goes by. However it is now especially known for being an adventure playground for travellers which is a lot of fun! Get your photo next to the BIG Banana! 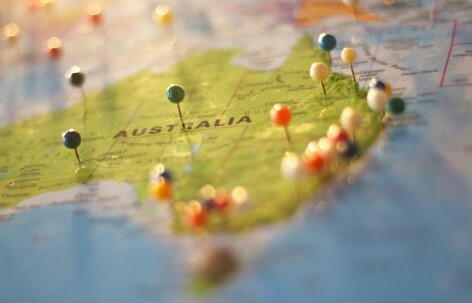 If you are especially interest in the many Big Things in Australia, then check our guide to where are the Big things in Australia page. Next on our adventure from Cairns to Sydney is real hidden gem! Therefore it is especially worth exploring for a couple of days. Furthermore Port Macquarie is famous for it’s amazing Koala Hospital! 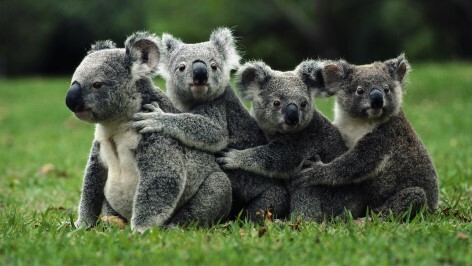 According to the history of Australia, this is the first and oldest Koala hospital in Australia! It was subsequently founded back in 1973, and is an unforgettable experience. Really lovely beaches away from the tourist crowds! Nice place to chill out on the beach! Explore coastal lakes and estuaries close by with your campervan. Explore the rainforest canopy at Sea Acres Nature reserve. In the big rush to Sydney many people accidentally miss another glorious spot on the East Coast of Australia! As a result of the wondrous natural harbour, Port Stephens is known as one of the Dolphin Capitals of Australia! Furthermore it is only about a three hour drive from Sydney. In particular it is a great place to chill for a few days and relax! 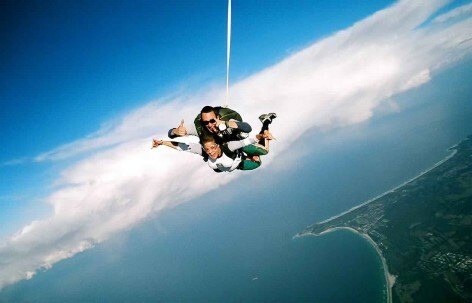 We highly recommend getting into some of the adventure sports close by! Furthermore the Dolphin watching tours are essential here! It’s especially a good place to find some free camping on East Coast on your campervan hire road trip. How about some Whale and Dolphin Watching, 4WD tours, surfing, horse riding, and parasailing? Furthermore how about some sea-kayaking and loads of wonderful beaches and walks you can do for free! Port Stephens is the Dolphin Capital of Australia! Resident Pod of 140 Dolphins! Largest sand dunes in the Southern Hemisphere! Sandboarding down massive sand dunes! Only 2 hours north of Sydney! Approximately 21 times the size of Sydney Harbour! Visting Hunter Valley for example an interesting place to stop on your Campervan Hire Cairns Sydney Route Planner road trip. 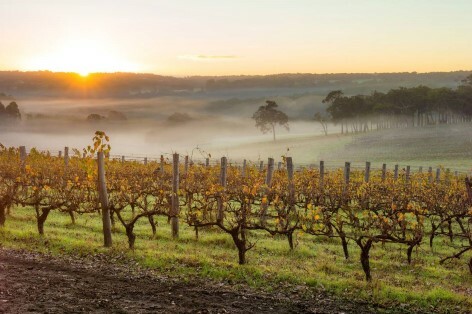 Furthermore why not visit NSW’s largest wine region, but remember no drinking and driving! The great thing about hiring a campervan is you can drive to all the vineyards. Loads of other great things to see close by, but your need wheels! This is when your Travelwheels Campervan Hire camper comes in handy! Hunter Valley – Beautiful wine region! If you especially like your wine, then Travelwheels recommends the wine tours! In the meantime why not go on a “introduction to wine appreciation” course with samples! You will especially need your Cairns Sydney Route Planner when you visit the Blue Mountains! For example there is so much to see and do! Furthermore remember the Blue Mountains is roughly the size of Belgium! 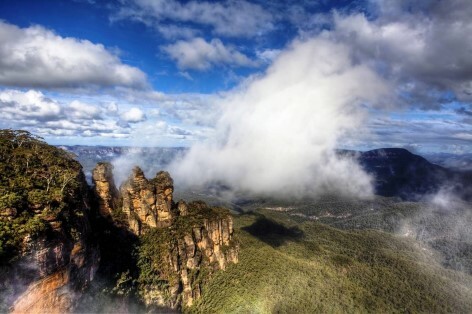 In addition to it size, the Blue Mountains is listed as a UNESCO World Heritage Site! According to our customers reviews who hired a campervan with travelwheels, they all loved the Blue Mountains! Here are some of our customer and staff suggestions for things to do in the Blue Mountains. Together with this guide you will thus see so many of the wonderful sights of the Blue Mountains. In addition to these tips, many of our happy customer have for example have suggested visiting the main tourists sites early in the morning! the next best time is later on in the afternoon when all the tourists coaches head back to Sydney! Here is our updated customer feedback for our things to do in the Blue Mountains guide. Together with spectacular scenery and wonderful wildlife makes the Blue Mountains a must visit activity! Ride the Steepest Incline Railway in the World! Travelwheels Campervan Hire Cairns Sydney route planner you can download for FREE. Travelwheels can email you a free Cairns Sydney route planner to help make the most of your Cairns to Sydney campervan road trip. The Travelwheels Campervan Hire Cairns branch is only a short taxi or bus ride away from Cairns Airport. As a result of being so close, it costs approximately $15-20 for a taxi to our base from Cairns Airport. Above all remember to bring your Cairns Sydney Route Planner along with you! If you are interested in booking and want to read travelwheels review, then there are a few options. By the way the travelwheels facebook reviews is a good place to start. If for example you are looking for Travelwheels videos reviews then this page is good for you. Christmas Cairns Sydney Campervan Hire – good way to save money! Here is another useful tip to save money on one way campervan hire from Cairns! Have you considered Christmas Cairns Sydney Campervan Hire deal? Sydney is super expensive at xmas and new year! Loads of campervan hire companies in Australia hate having campers in Cairns over xmas. Therefore this is a golden opportunity to get a discounted deal on campervan hire! As a result of starting from Cairns at Christmas you can save nearly 50% off the Sydney rates! That is especially a big number at Christmas! Call our team on 0412766616 for more details. Head over to the Travelwheels facebook reviews page for more info as well. Contact Travelwheels Cairns Campervan Hire office if you have any more questions. Furthermore we are specialists in planning East Coast of Australia Campervan Roadtrips for first time travellers to Australia. You can email our friendly team for further information at [email protected] Together with our PDF guide and our website www.travelwheels.com.au that will give you an invaluable resources to plan the perfect campervan holiday in Australia. Campervan Hire Road Trips – our most popular less touristy trips! Remember we also offer other great campervan hire roadtrips in Australia. For example a popular trip for both staff and customers that get’s good customer reviews is the Great Ocean Road. Here is a short list of some of the highly rated campervan hire road trips our customers have enjoyed with Travelwheels. Here is our 10 day guide to Great Ocean Road Campervan Roadtrip. If you are down in the Melbourne area, then check out Phillip Island Penguin Parade as well. The Melbourne to Sydney road trip – amazing wildlife, magical scenery, and it’s where the ocean meets the mountains! Visit Wilsons Promontory – one of the very best national parks in Australia. Exploring Northern Queensland by campervan. Read our guide to road trips starting from Cairns heading North. Fly drive campervan hire holidays from Cairns. Save money and time by flying from Sydney, Brisbane or Melbourne and hiring a camper from Cairns! Now you have the information you need with our Cairns to Sydney Route Planner, the time has come to book your campervan hire in Australia. All you have to do is enter your dates below for our best deals on Cairns to Sydney Campervan Hire. You can always call our team on 0412766616 for more details on our discounted deals. We will beat all competitor quotes for Cairns to Sydney outside of peak season, so enter you details below or call now.